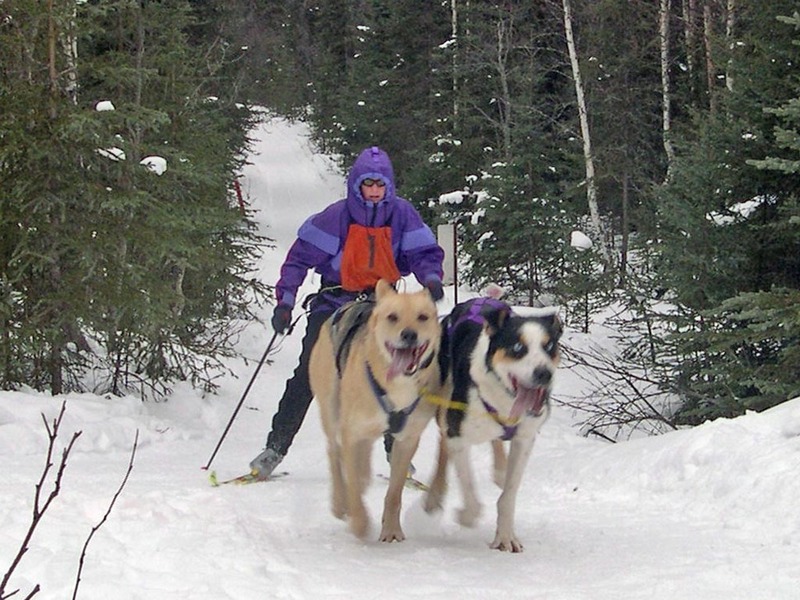 Mellen Shea was a long time member of the Alaska Sled Dog and Racing Association, Chugiack Dog Mushers, and co-founded the North American Skijor and Ski Pulk Association. A short dedication to Mellen quoting from St. Patrick was read by Rick Cavens, musher and pastor. Participants donated to the American Cancer Society. All times for Skijors and dog mushers include a -30 second deduction for wearing green. The Perpetual Golden Scoop the Poop shovel was awarded (for this year anyway) to the skijors when Kim Wells racing 3 dogs 8 miles edged out Mike Lina mushing with 6 dogs over the same course. Of note Francine Reuter's leader is 14 years old. This lead dog held the 4 dog track record as a younger dog. Despite a cold wind at 15+ degrees everyone had fun.